Biography: With over 20 years of corporate and executive leadership experience and 16 years of entrepreneurial experience, Bill combined his professional and life experiences to form Rinnovo Group in 2017 together with his wife and business partner, Judy, where they help organizational leaders build a fully-engaged workforce. 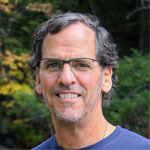 Bill is a Barrett Values Centre certified practitioner in the Cultural Transformation Tools® and became a certified RIM® facilitator as a result of the growth and transformation that he’s personally experienced through RIM®. He has a gentle and intuitive therapeutic manner that has a healing effect and helps ease people through the process. Bill is currently enrolled in the RIM® Masters level program. Philosophy: My soul has a gift and I am the servant of my soul. My purpose is to express my gift and help others do the same.